Below is an outline of what Dijon Home & Flooring would do on a complete restoration of a wood floor in eihter boards or parquet blocks; each individual restoration is different, but this gives a good outline of what your restoration may entail. 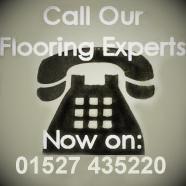 The first step is the repair or replacement of any damaged or loose parquet blocks or boards. Where possible we will re-use existing flooring, but if it is not possible we aim to use the best match of reclaimed or new boards. At this point we will also knock down any protruding nails. Is where we sand the flooring to remove old finishes. We sand to bare wood using a belt sander, starting with coarser grits and working to finer grits. This step removes old finishing treatments, scratches and stains whilst also levelling the floor as much as possible. Once the main area of the floor is sanded, we sand the perimeter with an edging sander to achieve a clean surface as close to the skirting boards as possible. After the old finish is removed and we are back to bare wood we can fill gaps as required/necessary. This is done using a flexible filler mixed with the sanding dust from the floor - this matches the colour of the filler to the floor.Any excess filler is sanded off before the next step. This is the one that gives your floor its final appearance. We use a 16" orbital buffing/sanding machine for the final, light sanding which gives a very smooth surface to apply the chosen seal to. If a stain is required it is applied now. Where possible we use fast acting stains, but some stains will need to be left overnight to dry fully, so as to avoid a reaction with the top seal. Application of the final seal. We offer a whole range of finishes to suit your requirements, whether it's a tough finish for sports halls and commercial areas or an oil finish for a natural look. Lacquer finishes are available in matt, silk matt, silk and gloss sheens or even whitening lacquers, whilst oil finishes come in either matt or silk. The finish seal is applied in two or three coats (as necessary) by roller, cloth or brush to ensure correct coverage and protection. On some finishes a final buffing is required to achieve the desired finish.